Wise Care 365 portable is a bundle of important registry, disk, and other system utilities for your PC. 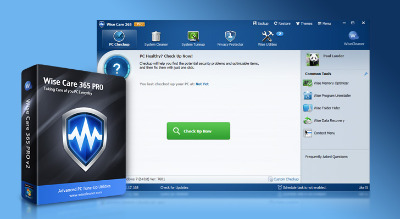 Easy to use and effective, Wise Care 365 is the best solution to improve your PC’s performance. Get Wise Care 365 and your computer will never run slowly again! It takes just one click to use Wise Care 365. As if by magic, your old PC will transform into a brand new and blazing fast one after Wise Care 365’s automatic cleanup and tune-up.